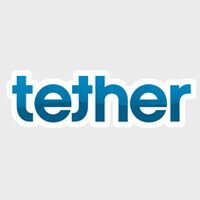 Some of you may remember iTether from Tether.com. It was an app that allowed you to tether an iPhone or iPad to a Mac or PC without having to jailbreak the device. Back in November Apple decided to pull it from the app store stating that it was “a burden to the carrier network” even though the average iTether user used less bandwidth in a month than one TV show streamed through Netflix. Apple didn’t offer any possible resolutions and it didn’t come across that they were interested in revisiting this app. The team over at Tether has been working on a way around this caveat. The solution? Cut out Apple’s approval altogether. They have come up with a new solution that utilizes the HTML5 support already built into Safari over an Ad-Hoc wireless network to tether the devices together without the need for a jailbreak nor an app. The original iTether app was originally a one time fee of $14.99, but considering most tethering service through a wireless carrier run between $10-$20 a month, Tether.com’s new price of $30 a year fee is still very reasonable. The new version also operates wireless and encrypts the data, which adds value to the service. The process is quite simple as well. You just need to sign up for the service at Tether.com and download the Tether app to your PC or Mac. From there you can follow the instructions on how to setup an Ad-Hoc network. Once the network is setup on your computer, simply connect to that network from your phone and go to tether.com/web from Safari, enter your login information, and you’re all set. Check out the video below where Patrick from Tether.com takes you through the process of setting up Tether. I still can't get over the fact that in America you have to pay to tether. I mean, you paid for the phone and the data plan, and if the phone can tether, how can the carrier's block that and charge you a fee for using something that is already on your phone? Yep,that's just ridiculous, aint it? Would it work for Android? It is ridiculous, but folks keep giving, so they keep on piling. Prices that is. They should do this for Windows Phone. We still have no way to tether... That's the only thing I miss from Android. Actually after checking out the site it appears it is a $30 dollar one time fee, not annually as you all suggested here on PA. Here is a link for you all to see for yourselves: http://tether.com/android/ Its at the bottom of the page. Thats for android but for iOS its 15 for first year and 30 every year after!